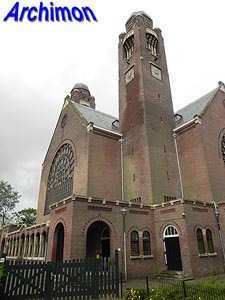 For the many protestant tourists that visited Scheveningen in the Summer a special church was built in 1874. 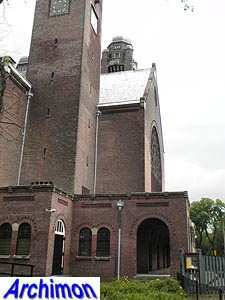 It was a small neo-Gothic building designed by H.J. 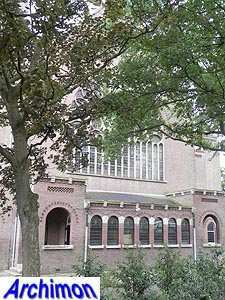 van den Brink which, despite World War One, was later replaced by the current church. 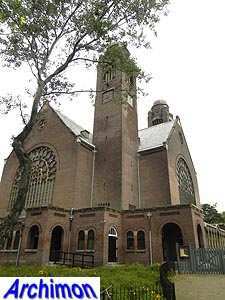 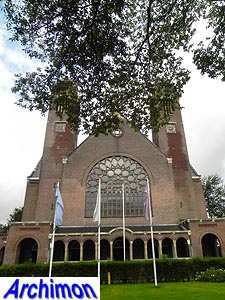 This church, which was designed by the relatively unknown architect W. Ch. 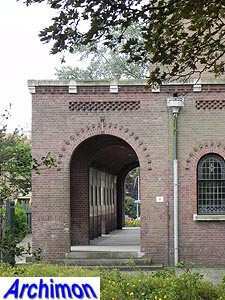 Kuijpers, is built in Rationalist style, a mixture of influences of architect H.P. 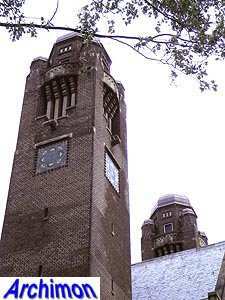 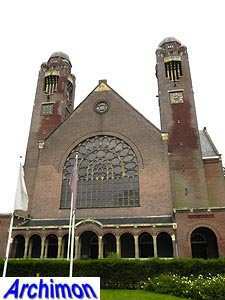 Berlage and Jugendstil popular among protestant architects in the first two decades of the century. 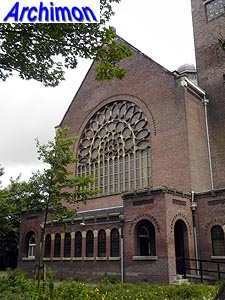 The building has the shape of a Greek cross with arms of equal size, each with a big window which reminds of the previously popular neo-Renaissance style. 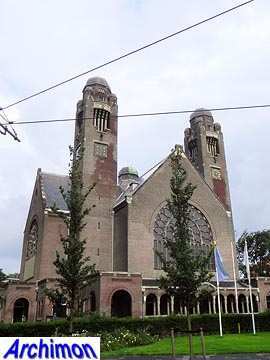 In the front two corners are towers, with on top of each a spire of natural stone in Jugendstil style. 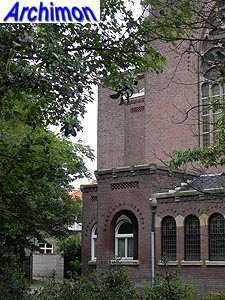 On the crossing is a small dome in a similar style. 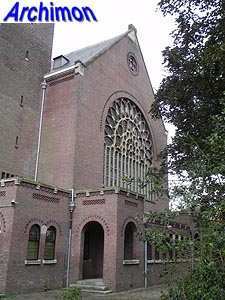 In 1922 the architect built another church in a similar style in Alphen a/d Rijn (ZH), the Adventskerk.